Dr Matthew began his chiropractic career in 2002, and is passionate about empowering his patients with knowledge to live productive, happy and healthy lives. “Our greatest asset is good health” explains Dr Matthew. Our philosophy is to combine optimal neurology, nutrition, exercise and chiropractic together to improve health and prevent illness. In order to be able to exercise, you need good joint function, and that is why chiropractic is so important. “It is extremely important to teach children healthy habits” explains Dr Matthew, who is one of a handful of chiropractors in Australia with kid’s chiropractic qualifications. 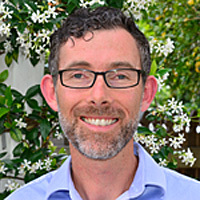 In addition to his Bachelor of Science (Uni of Qld) and Master of Chiropractic (Macquarie University) degrees, Dr Matthew also has a Master of Science in Paediatric Chiropractic (Uni of Wales- London). Dr Matthew is also a certified Chiropractic Wellness Lifestyle Practitioner (International Chiropractors Assoc) and loves giving free seminars for his patients on nutrition, exercise and stress management. Research shows that 75% of westerners will die from a chronic disease that is caused by poor lifestyle 1. “I feel that my mission in life is to empower people with the knowledge of how to prevent chronic disease and lead long, productive and fulfilling lives”. 1. S Boyd Eaton et al. ‘Stone Agers in the fast Lane: Chronic Degenerative Diseases in Evolutionary Perspective’. 1998. American Journal of Medicine, 84; 739-749. Thank you for visiting our site. I hope that it can be a source of hope and healing for you and your family. If you have any questions, please all or email us today.